When you’re looking for an air purifier, one thing you should keep in mind is the space in which you plan to use it. Since different air purifiers offer different cleaning capacities, some will be better-suited to different spaces than others. There are any number of units that are great for smaller spaces, but what about air purifiers for large rooms? Open office areas, open basements and other such spaces require air purifiers that can move large volumes of air while still cleaning efficiently. Here are some of our top picks for large room air purifiers. One of the overall best-rated air purifiers in the consumer market today, the Blueair Pro XL is also one of our top air purifiers for large rooms. This unit will cover an area of up to 1,180 square feet, providing a remarkable five complete air changes per hour. The Blueair Pro XL also offers virtually silent operation, making it perfect for large rooms that are used for work, such as open office spaces. For space-saving, it can also be attached to a wall with a simple mounting bracket. With the ability to remove dust, pollen, mold spores and a host of other particulates from up to 1,800 square feet, the Amaircare 3000 HEPA is a great air purifier for large rooms and open spaces. Featuring an all-metal chassis and rolling casters, the 3000 is both durable and portable. 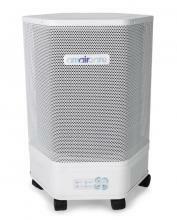 At only $699, it is also one of the most budget-friendly options in large room air purifiers. Covering 1,500 square feet, the Austin Air HealthMate Plus is a high-quality unit with both HEPA and carbon filtration. This combination allows it to particles, VOCs and odors from the air in a room. This unit offers all-steel construction, also making it a durable option for workplaces. 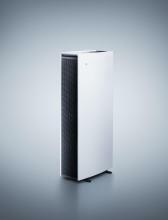 Last but certainly not least on our list of the best air purifiers for large rooms is the IQAir HealthPro plus. 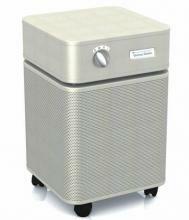 Like the Austin Air HealthMate, the HealthPro offers both HEPA and carbon filtration, allowing it to target a wider range of contaminants than many other air purifiers. It also offers extremely quiet operation, a high-efficiency fan and an impressive 10 years of limited warranty. Rated as a Consumer Digest best buy, the IQAir HealthPro Plus more than earns a spot on the list of great large room air purifiers with its ability to perform two air changes per hour in spaces of up to 1,125 square feet. Still Have Questions About Air Purifiers for Large Rooms? Keep in mind that these are just four of our many awesome offerings for larger space air purifiers. If you have questions about any of these units or would like more options and personalized help picking out the best unit for your needs, feel free to contact us directly.